Ohhh yeah, Asian film fans. 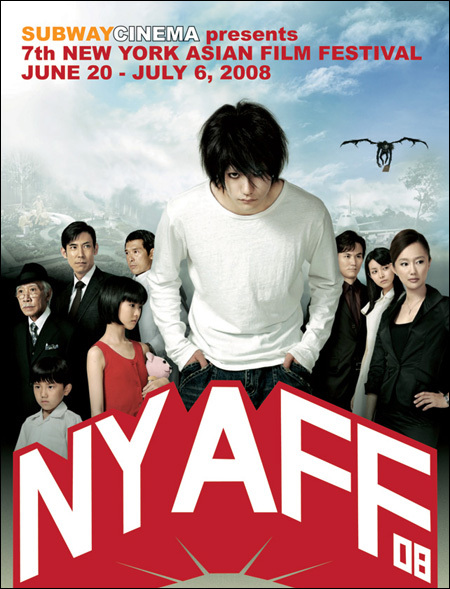 Subway Cinema presents the 7th New York Asian Film Festival, happening June 20 through July 6 (and not to be confused with Asian CineVision's Asian Amerian International Film Festival). The festival presents some of the coolest, most interesting films from all over Asia, including the latest works from Takashi Miike, Lee Myung-Se, and Johnnie To, as well as some suprise gems you've probably never heard of. Check it out, and discover something cool. It all starts this Friday, June 20 with the Opening Film, Ryo Iwamatsu's Then Summer Came. For more information on the festival, go here.